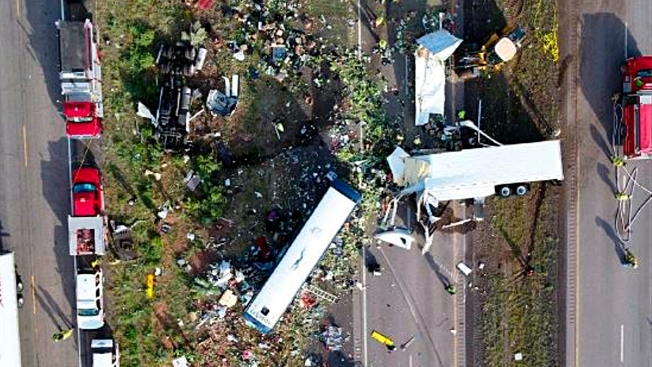 A deadly crash between a semitrailer and a Greyhound passenger bus killed eight people and injured 25, including young children, near Thoreau, New Mexico, on August 31, 2018. One of two babies delivered prematurely after a deadly collision between a semitruck and commercial bus in New Mexico last month has died. University of New Mexico Hospital spokesman Luke Frank confirmed Monday the death of a pediatric patient but would not give any more details. An update posted on a GoFundMe page for the family of Christy Westerdale, who gave birth because of injuries suffered in the crash to a boy and a girl, announced the girl's death. The family says Jordyn Rose died Thursday. 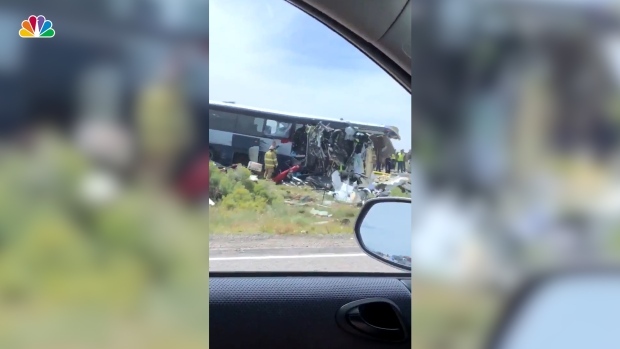 Authorities said there were multiple casualties after a bus crash on Route 40 in New Mexico on Thursday. Westerdale, who was seven months pregnant, and her boyfriend were on the bus Aug. 30, heading to California. Her 4-year-old daughter was also on board. The newborn's death brings the number of victims killed in the crash to nine. Two children and one adult injured in the crash were still hospitalized Monday, according to Frank. He said one child is in critical condition. The other two are listed in satisfactory or stable condition.